New taxes aimed at discouraging domestic property speculators from cashing in on rocketing house prices could be introduced in the forthcoming Budget. The Government is examining sweeping changes to capital gains tax relief on residential properties over fears people are taking advantage of the property market. Department of Finance officials believe a tax loophole has emerged which is allowing property speculators to ''flip'' houses without paying taxes. New budget measure will aim to ensure homeowners are not unfairly benefiting from the housing market while other people are struggling to find accommodation. The move could see the introduction of caps on how many times a homeowner can avail of tax relief on the sale of a family home within a certain period of time. Department of Finance sources said there is evidence of people applying for tax relief on family home sales numerous times in short periods of time. At present, homeowners can apply for ''principal private residence relief'' on the sale of their homes which exempts them from 33pc capital gains tax. The relief allows property owners to transfer or sell a property tax free if that property was their main residence while they owned it. However, Government sources believe some people are "going beyond the spirit" of the tax relief and cashing in on the housing market. "There are people cleverly increasing their wealth by tapping into the market and paying no tax," the source said. "People are doing nothing wrong but they are using the system to benefit themselves and we are looking to find the areas where we can charge people something in a fair way," the source said. The Department of Finance source said the Government was looking at closing down the "loophole" so they can generate more income to increase the entry point for the top rate of tax. Finance Minister Paschal Donohoe last week revealed he has around €266m to spend in the budget on tax cuts for middle income earners. 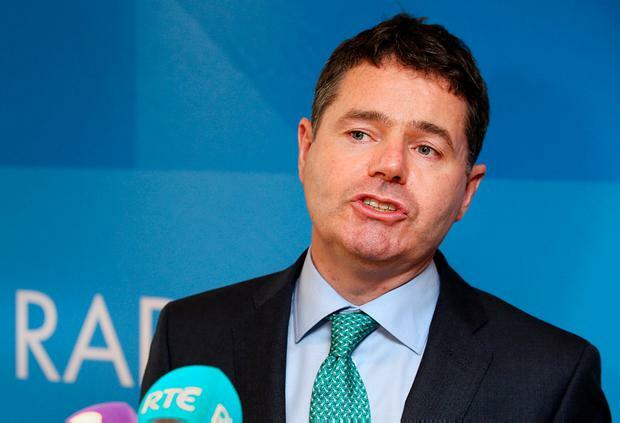 At the launch of the Summer Economic Statement, Mr Donohoe said he wanted to focus his tax measures on removing more taxpayers from the higher tax band. Currently, workers are paying 40pc tax on all earnings over €34,550. Under the confidence and supply agreement with Fianna Fail, the Government has also committed to reducing the Universal Social Charge (USC). Last year, Fianna Fail and Fine Gael clashed over increasing the tax bands in favourite of reducing USC. The Government has €3.4bn available for Budget 2019 but €2.6bn of this has already been pre-committed. In total, Mr Donohoe will have €800m for new spending measures and tax cuts.